The City of Champaign, Illinois is located approximately two and a half hours south of Chicago. As a home rule municipality, Champaign has authority over its local governance, rather than the State, enabling the city to tailor its government and power to best suit the city’s specific needs. The local economy remains strong due in part to its largest employers, the University of Illinois and the health care industry. Champaign’s manual process left room for error in data entry and version tracking. It also required a tremendous commitment of time from everyone involved. 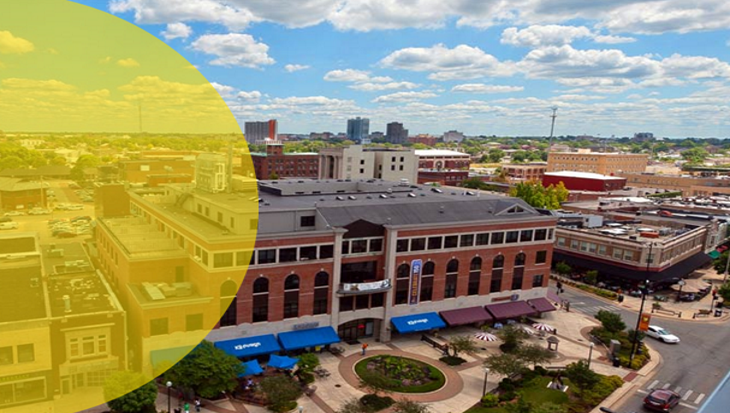 After an extensive RFP process, it was determined that Questica Budget Capital was the best solution for the City of Champaign. The City of Champaign began the process of sourcing a software solution that would support the development of their Capital Improvement Plan. The team looked to their peers along with an Internet search to develop with a list of approximately 15 companies who potentially had a solution for them. This RFP process was very lengthy, but thorough. After the extensive RFP process, Champaign selected Questica Budget because it was best able to support their budget process and it was easy to use. They also based their decision on feedback from other Questica customers. Since implementing Questica Budget Capital, the City of Champaign has seen significant improvement from their previous budgeting process. Listed below are a few of Questica Budget Capital’s key benefits which improved Champaign’s budgeting process. Project managers are now able to create several budget scenarios effortlessly from the beginning. This eliminates the need to start the process over again, if funding is not available. The Capital Improvement Review Team can simply pull up the alternative budget, evaluate the impact on fund balance and have it approved, without the wait time previously required. Version tracking is a major benefit of the Questica Budget application. With all the back and forth of information, it became very difficult for Champaign to keep track of the latest version of the project budget, and increased the time required for the budget process. With Questica Budget, version information is always available onscreen for every user, thus eliminating the possibility that the current version will be accidentally overwritten. As spreadsheets are no longer required to be passed back and forth, there has been a significant reduction in the amount of paperwork. Any person who has a license can access Questica Budget at any time. Their information is readily available, which eliminates the need to contact the finance department each time project managers require a status on their budget. Since web-based budget information is available to everyone involved, through all stages of the budget process, the Finance Department can discuss the figures with project managers, and know that they are all looking at the same data. Changes can be made and the impact is seen immediately. All of this was accomplished within the timeline that was set out by Champaign. Champaign’s implementation team was very happy with the customer service and support they received. With any new software implementation, there are bound to be a few issues, but they were impressed with the willingness of Questica’s team to focus on them and provide solutions that worked. Thanks to more efficient budgeting, Champaign is brilliant.